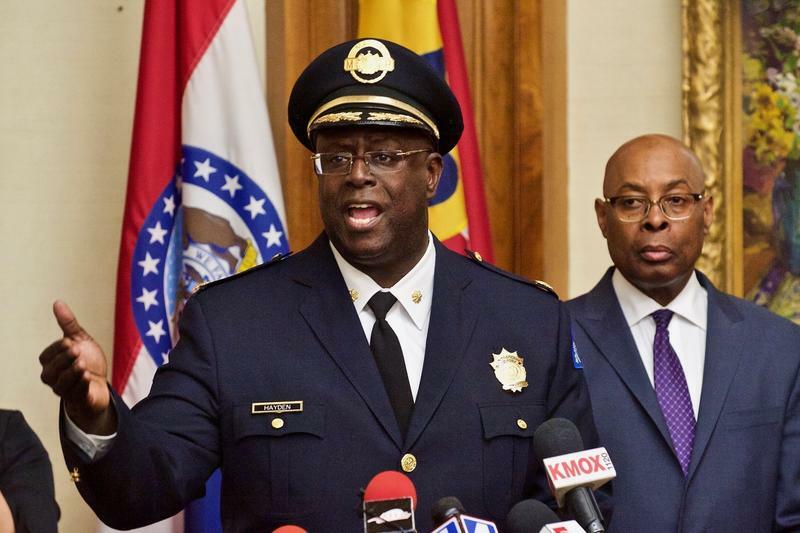 St. Louis Police suspect four of six killings over the past weekend were drug-related, Chief John Hayden said Monday. Drugs were found at two of the crime scenes, but police would not identify them. All the victims were found shot in their cars. Bobbi Len Taylor Mitchell-Bey's children were killed at the Clinton-Peabody housing complex in south St. Louis more than a year ago. On Friday, she asked federal and local law enforcement officials to find out who killed them, and others. 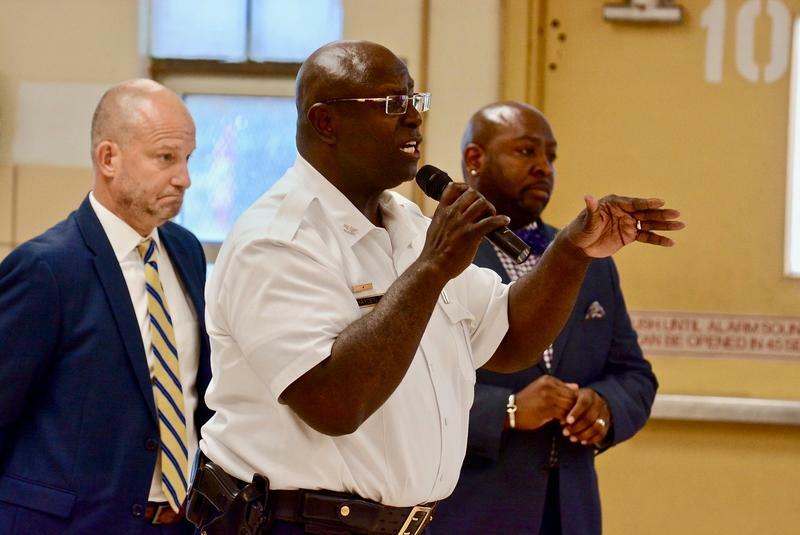 Mitchell-Bey was among a couple of dozen residents of Clinton-Peabody who attended the meeting to demand better policing and better access to city services and resources. 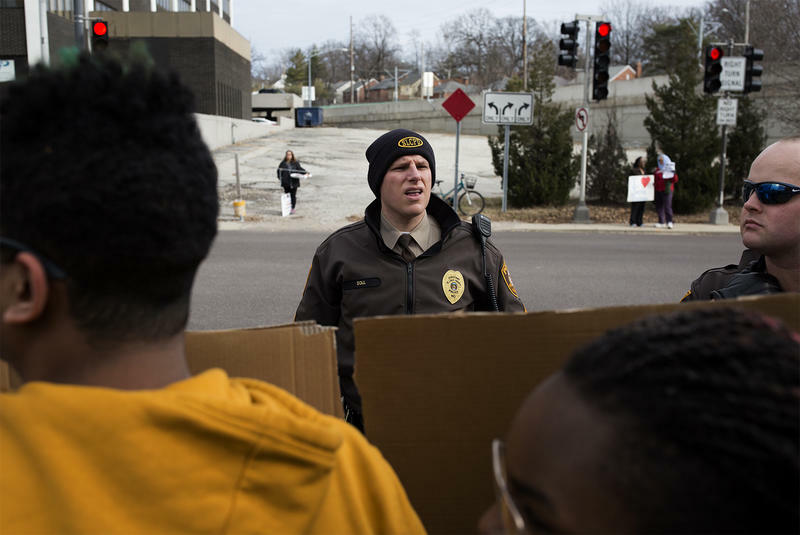 Since Ferguson police officer Darren Wilson fatally shot Michael Brown in August, police have been facing hostile protests with often a strong anti-law enforcement bent. 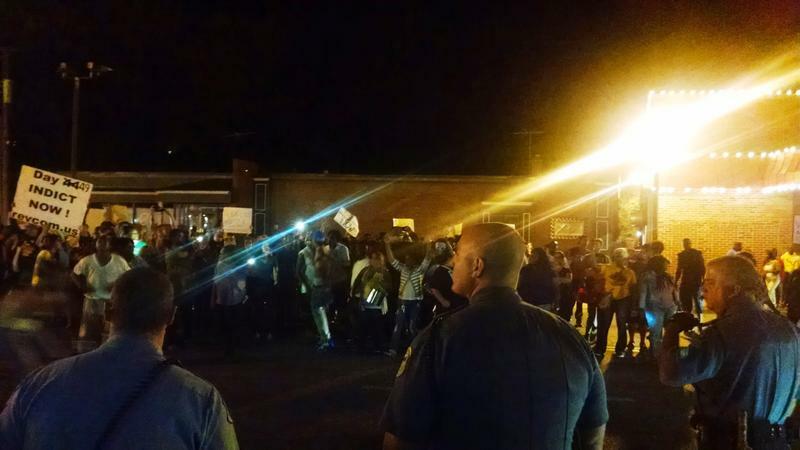 Chants of "No justice, no peace" have been mixed with much more violent anti-police messages, including threats of shooting down police helicopters and other vulgar terms. But it's not just shouts being hurled at police; they've also had Molotov cocktails, rocks, and bottles of urine thrown their way, even been spit at and fired upon. The St. Louis Metropolitan Police Department has suspended an officer who is accused of assaulting his live-in boyfriend. 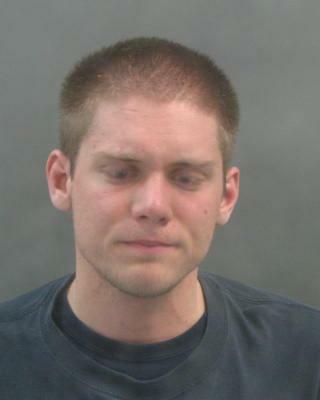 Matthew Schanz, 26, faces two felony domestic assault charges for allegedly choking the unidentified boyfriend during an argument on March 10. Schanz is also accused of smashing his partner's face against the wall of the bathroom, causing a gash that required stitches. 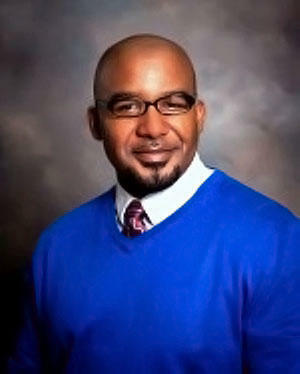 St. Louis prosecutors have filed several felony charges against a 44-year-old man accused of shooting the two officers. Rico A. Martin faces two counts of first-degree assault on a law enforcement officer, two counts of armed criminal action, being a felon in possession of a firearm, and felony drug charges.